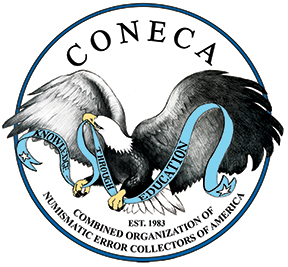 Section 1: Section 1: This organization is incorporated as Numismatic Error Collectors of America (CONECA) inc. and also be known by the name Combined Organizations of Numismatic Error Collectors of America (CONECA). 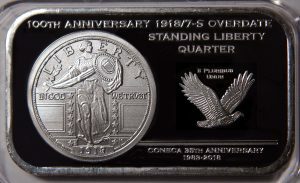 Section 2: The purpose of this organization is to be an educational, non-profit club as defined in Section 501(c)(3) of the Internal Revenue Code, and is organized exclusively for the purpose described in said section, including to further the knowledge of numismatic errors and varieties; to provide an organization for mutual help and cooperation for collectors of numismatic errors and varieties in the United States and elsewhere; to acquire and disseminate accurate information in this area; and to promote popular interest in the science of numismatology, especially that of mint errors and varieties. Activities of the club shall be limited to those which further the purposes described in Section 501(c)(3), or are not otherwise in conflict with said section. Upon dissolution of the club for any cause, all assets after payment of liabilities shall be distributed by the Board of Directors to any other organizations which meet the requirements of Section 501(c)(3). Section 3: The motto of CONECA shall be Knowledge Through Education. a. Dues-paying with voting privileges: Life Members, Regular Members, Junior Members, Family Membership Members, and J.G.J. Members. b. Dues-paying without voting privileges: Organizational Members. c. Non-dues-paying with voting privileges: Honorary Life Members. d. Non-dues-paying without voting privileges: Honorary Members. Section 2: Dues rates for each class of dues-paying members will be determined by the Board at its annual meeting. Section 3: Any person may apply for membership to CONECA. Members will be classed as Junior Members until they reach their 18th birthday, after which they will be converted to Regular Membership. Section 4: Each paid member within a family membership will be entitled to all club privileges and all club services; however, the family will receive just one copy of the club publication. Section 5: Organizational members will receive one copy of the club publication and may avail themselves of club services by designating an elected official of that organization to be the sole contact point between that organization and CONECA. 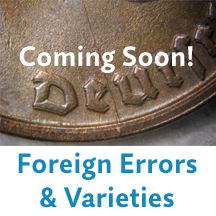 Services which may be utilized include the library and coin examination/authentication. Section 6: Honorary Members and Honorary Life Members shall be chosen by a majority vote of the Elective Officers. Honorary Life Memberships are permanent life memberships. Honorary members shall be members for a period of one year. A review of each Honorary Member shall be made each year at the annual Board meeting and passed upon by the Elective Officers either to have said Honorary Membership continue in that status, or simply not be renewed. Membership cards for Honorary Members will be issued with indicated cut-off date as is done with Regular Memberships. The Board may appoint no more than two Honorary Life Memberships per year. Section 7: Any member, except Honorary Members and organizational members, shall have any and all rights of membership. Honorary Members shall have all membership rights, except for voting privileges. Section 1: The Elective Officers of the club shall consist of PRESIDENT, VICE PRESIDENT, BOARD SECRETARY, TREASURER, and the BOARD OF DIRECTORS. All Officers of the club shall have attained age 18 when elected to their respective offices. Each elected Officer shall serve a two year term upon his/her election by the membership. Section 2: The Board of Directors shall consist of eight members whose duties shall be as described in the Bylaws. Section 3: Elections will be held in even numbered years and scheduled such that the newly elected officers will take over their duties on December l5th of that year. Members running for Board seats need not declare the Board seat for which they are running. Elections and assignments to Board seats will be conducted according to the Bylaws. Section 4: If a vacancy occurs within the Board of Directors because of death, dismissal, or resignation, a special election will be held to fill the vacancy for the remainder of the vacated term unless the period of vacancy starts after December 1 of an odd-numbered year. In this event, the President may appoint any member to fill the vacated Board seat for the remainder of the term of office, subject to the approval of the remaining members of the Board of Directors. However, at no time will more than two Board members be serving under such appointments; special elections will be held to fill any Board seats vacated after two such appointments have been made and approved. Section 5: Incumbent Board members will be automatic nominees for their positions unless that Board member chooses not to seek re-election. Section 6: The Vice President shall act as President in the President’s absence, and shall become President upon the death, dismissal, or resignation of the President. The line of succession thereafter shall be Board Secretary and then Treasurer. Vacated offices shall be filled by appointment by the President, for the remainder of the term, subject to the majority vote of the Elective Officers. Section 7: No member of this club, including Elective Officers, shall enter into any contract on behalf of this club with another person or agency without the sanction of the majority vote of the Elective Officers when such a contract involves commitment of financial payments other than ordinary operating expenses of the club. Section 8: The governing body of the club shall consist of the President, Vice President. Board Secretary, Treasurer, and the Board of Directors, With each having one vote. Section 9: The Board of Directors is established for the benefit and guidance of the club. They shall have the power of veto at all times to overrule any club official when, in their opinion, a policy is not in keeping with the integrity and the benefit of the club, or when, in their opinion, an official does not stay within the bounds of propriety, dignity, and good taste. This veto shall consist of a majority vote of the Board and this veto shall be final. Section 10: The Elected Officials of President, Vice President, Board Secretary, and Treasurer shall sit with the Board and enjoy full Board privileges for their terms. The only exception to this shall be in matters where the veto is involved or executive sessions relating to discipline where possible expulsion of a member or members of the Board may result. The Board of Directors shall elect a Chairman of the Board each year at the annual Board meeting. The Chairman of the Board will preside at any Board meeting from which the other Elected Officials are excluded, as outlined in this section. Section 11: In the event that any Elective Officer does not contribute, participate, or show any indication of being active in his/her responsibility for a period of not less than 60 days, or if in the opinion of the Board, the Elective Officer does not stay within the bounds of propriety, dignity and good taste the Board Secretary (or if said officer is the Secretary, then a designee of the President) shall attempt to contact said member by using certified mail, telephone or any other means deemed necessary to verify the official’s intentions on the matter. If after such an effort the Board Secretary (or the President’s designee) cannot contact the officer or does not receive assurances of a will or desire on said officer’s part to function actively within the position’s scope of activities, the Board shall have the right to vote to have such an officer relieved of his/her duties; and the position involved shall be filled in accordance with Section 4 or Section 6 of this Article. The only exception to this rule shall be in the case of an officer serving the U.S. Armed Forces. The above shall not be construed as a means to create a condition of hardship or discomfort to anyone in any way. The sole purpose of this action shall be to create a means of having a “working” governing body. Section 1: Any amendment to this Constitution must be submitted in writing and it must have a three-quarters majority vote of the Elective Officers. Section 2: After having been formulated and approved by a three-quarters majority of the Elective Officers, said proposed amendment to this Constitution shall be submitted to the voting membership for approval. A majority of the voting membership is required for approval, and the decision of membership is final.